Eight tracks of first wave black metal. Metal for maniacs pure. March 24th @ Great Scott, Allston, MA. FRIDAY / SEPTEMBER 1ST / GREAT SCOTT / ALLSTON, MA. "Blood Harvest Records sets October 27th as the international release date for the highly anticipated debut album of America's Malleus, Storm of Witchcraft, on CD, 12" vinyl, and cassette tape formats. Originally self-released during the autumn of 2016 but only digitally and on tape, so enthralled by Malleus' endlessly headbanging filth was Blood Harvest that the label just HAD to release it on ALL physical formats! 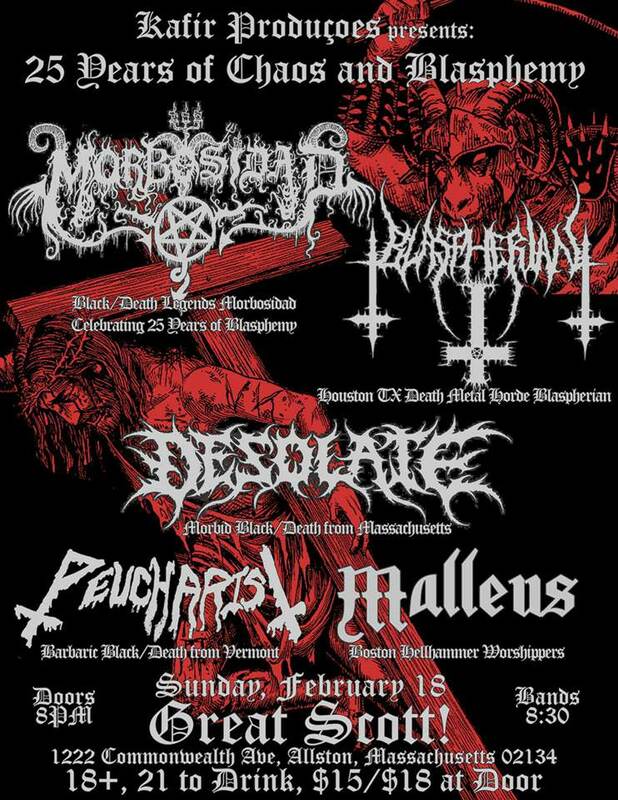 Like a relic from a lost time, Storm of Witchcraft rages forward on a rusty 'n' crusty axis of Hellhammer, debut-era Bathory, and early Celtic Frost. However familiar it may sound on paper - and in execution, more so - Malleus nevertheless evince an engaging elan that's equal parts devilish fun and all-out evil, splitting the difference between alcoholocaustic gallop and dread-inducing downtempos. And it's aptly titled, too: Storm of Witchcraft possesses that ancient, old-world aura that puts this safely beyond simple "party music." No matter how you choose to process it, Storm of Witchcraft is a poisonous first strike for Malleus!" 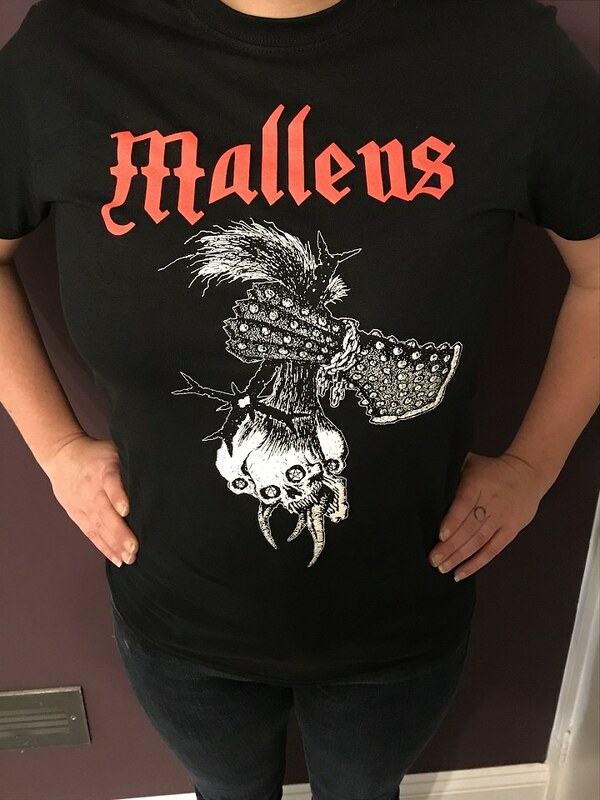 Malleus now has shirts and CD's up on our bandcamp page. Vinyl is delayed at the plant but more details to follow. Preorder for the vinyl edition of "Storm of Witchcraft" is now available through Blood Harvest Records. T-shirts and CD's still available through the band directly. 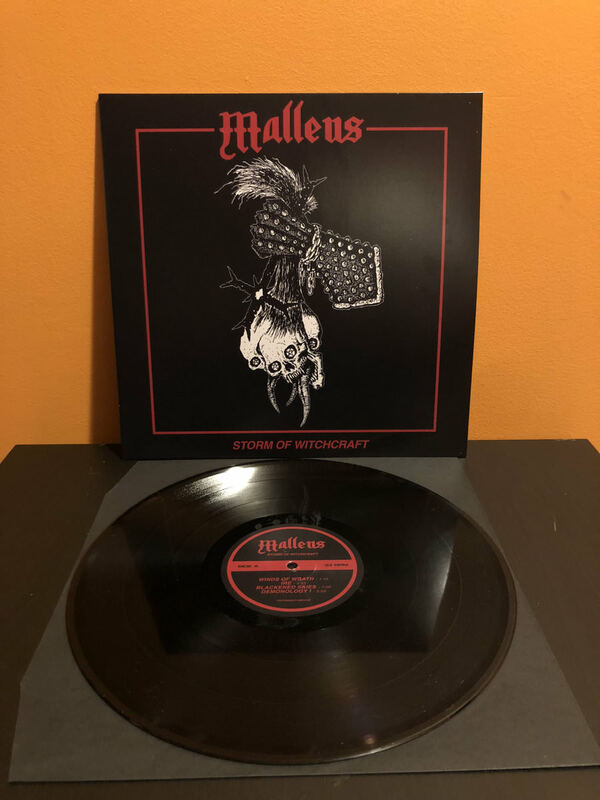 The vinyl edition of Malleus - “Storm of Witchcraft” is NOW AVAILABLE directly from the band through our bandcamp page. We will have copies available for sale at the upcoming show supporting Morbosidad and Blaspherian on Feb. 18th. “MALLEUS IN CONSPIRACY WITH ATOMIC FORCE RECORDS PRESENTS "Night Raids" 12 Inch EP. 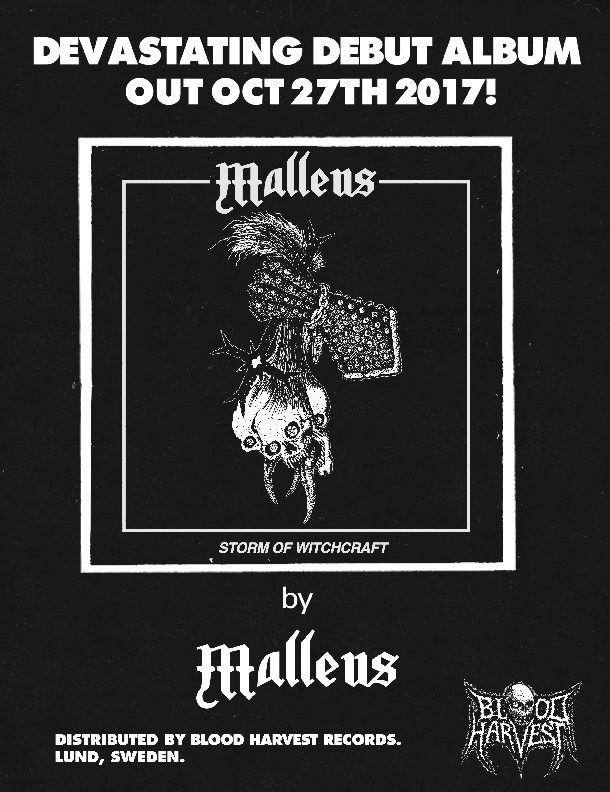 Following their debut album "Storm of Witchcraft" released one year ago under Blood Harvest Records, Malleus returns with two new tracks of bone crushing first wave black metal. New LP coming 2019”. Both tracks streaming at CVLT NATION.